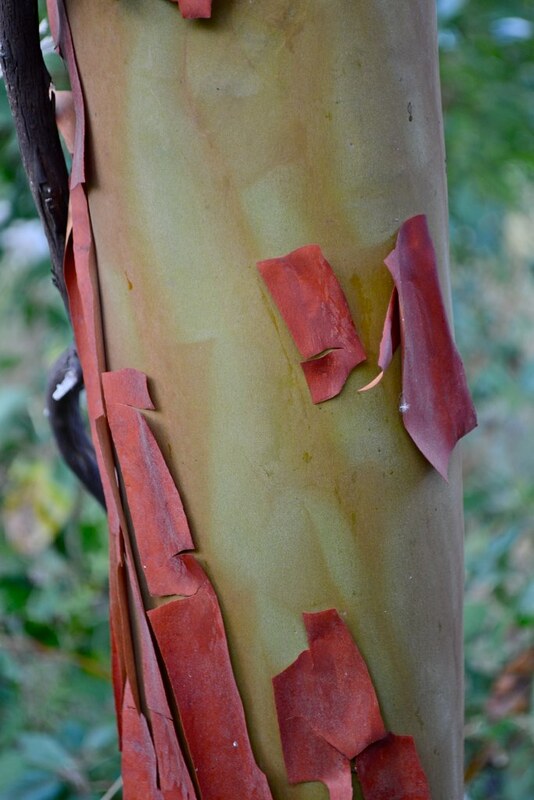 In the woods behind the house where I grew up (and where my parents still live), there is a single Pacific madrone (Arbutus menziesii) tree. 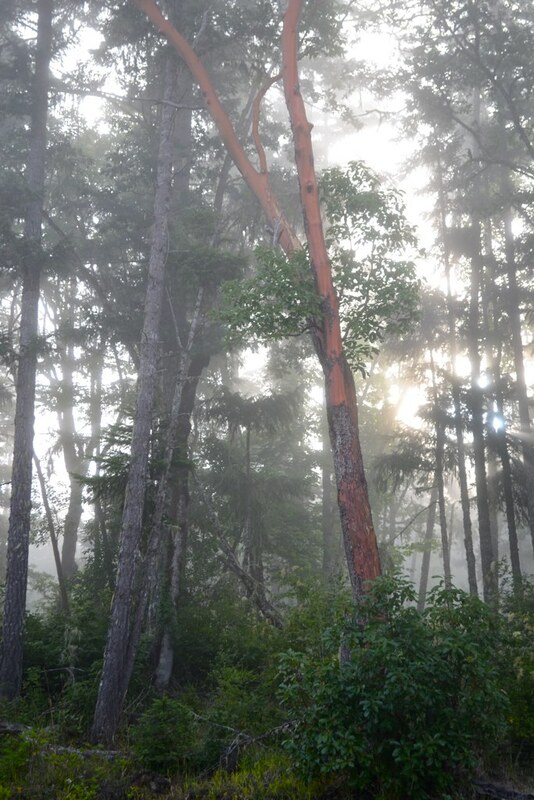 It looked so exotic and out of place in the dominantly Douglas fir forest. I remember wondering if it was some sort of rare jungle tree as I compulsively peeled the shedding bark off in chunks and strips. 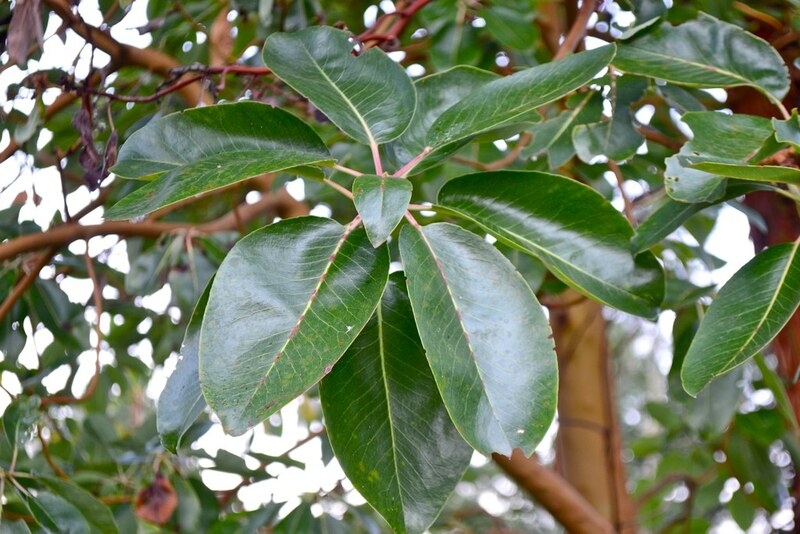 Madrones are one of a handful of broadleaved evergreen trees in this area. Their big ovate leaves are shiny and almost waxy, reminiscent of manzanita and blueberries, which are in the same family. They grow new leaves and simultaneously shed the old ones in the spring. Their shape and character provides nice contrast to the monotony of conifers in both summer and winter. 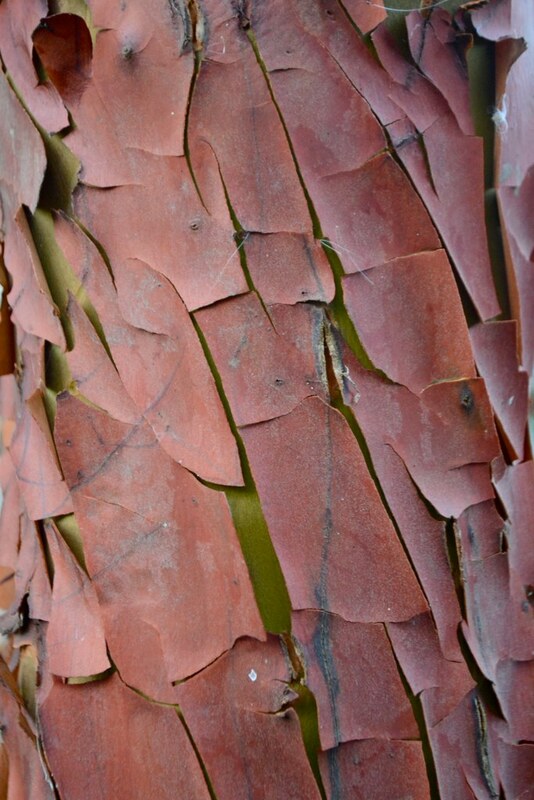 It turns out that madrone is more common than I once thought. It grows on well drained, clay soils up and down the west coast of North America. 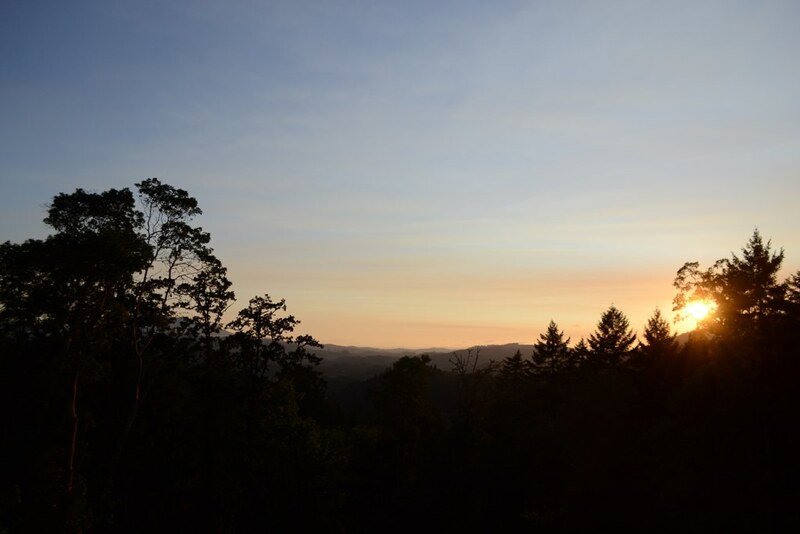 The particularly bad-for-gardening soils that we have here at the homestead are perfect for madrones, so we have quite a dense population for the central Coast Range of Oregon. I love it. 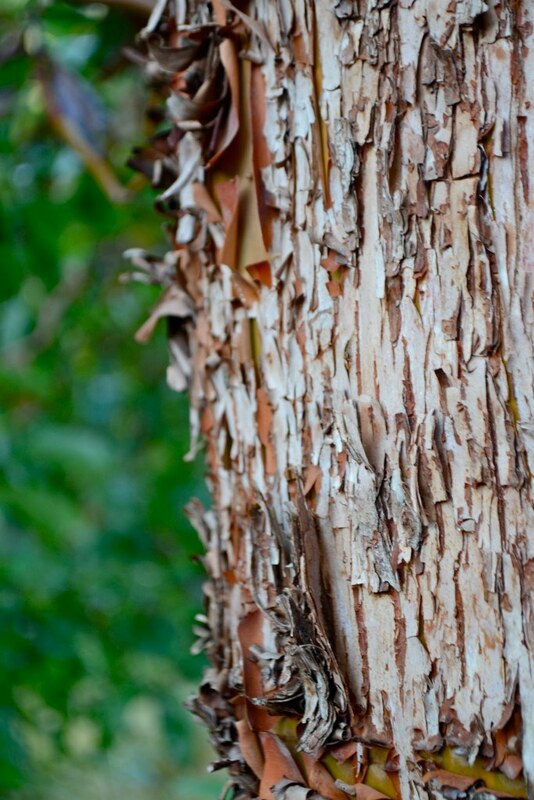 For the past few weeks, the madrones on the property have been shedding their rust-colored bark. It peels off in crunchy curls and sprinkles down to the ground. When I’m up close to a trunk, I still can not resist the urge to scrape away all the little bits to reveal the smooth, olivey-yellow new bark that’s underneath. Henry told me yesterday that native tribes used to make a tea out of the bark bits and apply it topically to prevent poison oak. I haven’t tried it yet, but I probably should. 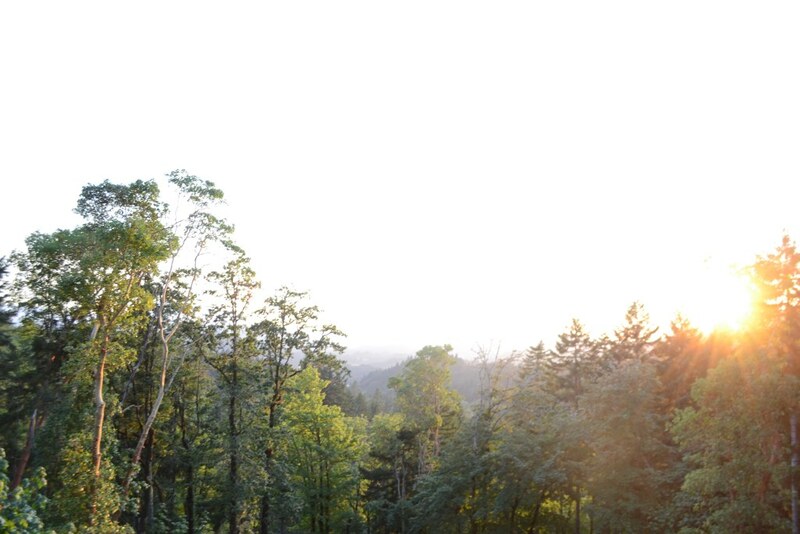 The photo up at the top of the post is what sunrise looks like on our place. We have a big hill directly to the east of us, so we get lots of filtered early morning light without a spectacular show of sun bursting over the horizon. 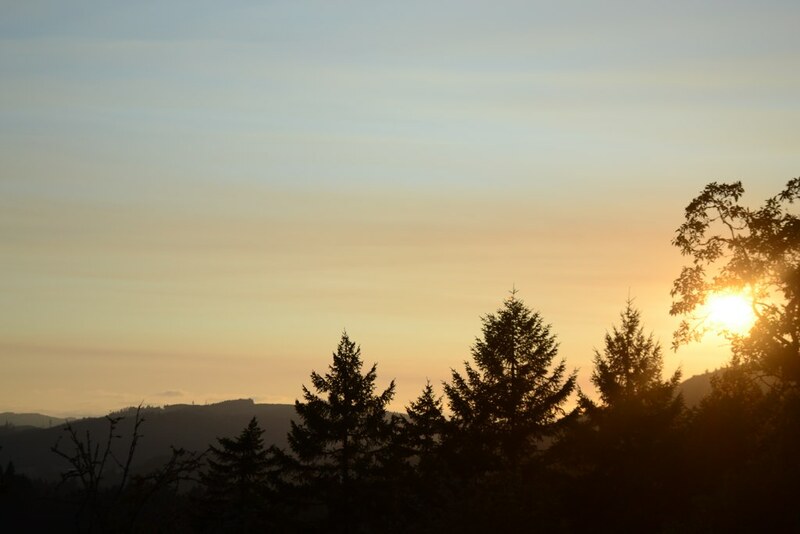 Fortunately, we get a great view of the sun setting in the west. I took a few shots at dusk the other day. 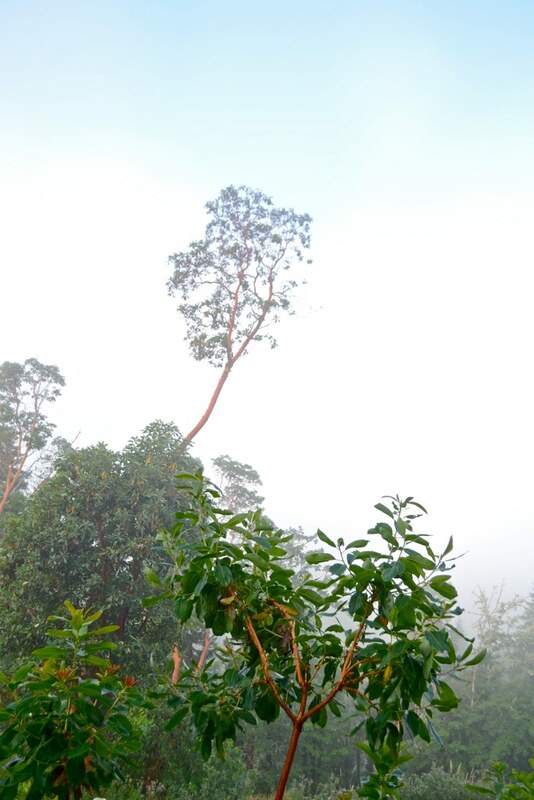 Do you see the distinctive shape difference between the Douglas firs and the madrone? It was a nice way to end the day. Beautiful. 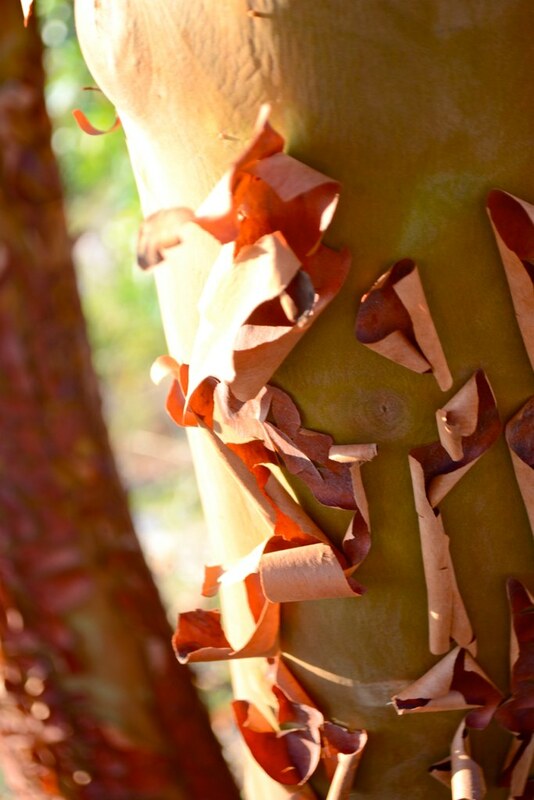 Those trees with their shedding bark remind me of the Crape Myrtles we have here in SW Florida. Some of them shed like that, exposing a beautiful contrast in color beneath.